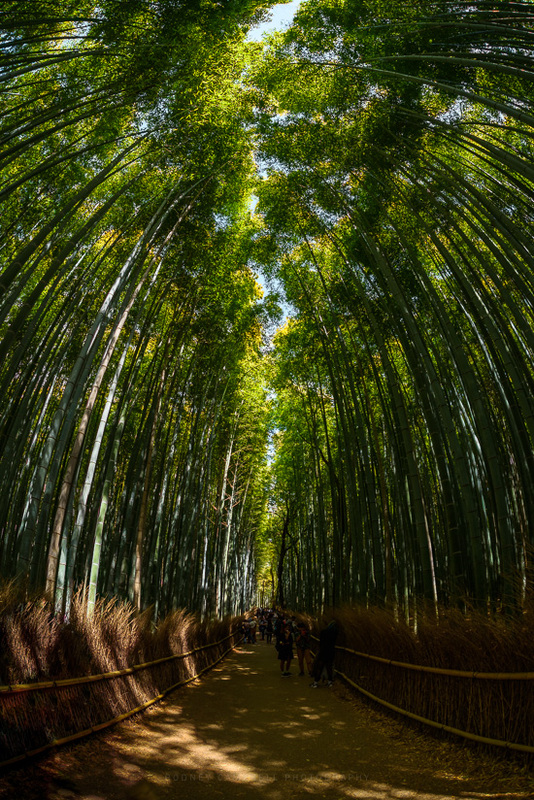 The Arashiyama Bamboo Grove is one of Kyoto’s top sights and for good reason; standing amid these soaring stalks of bamboo is like being in another world. 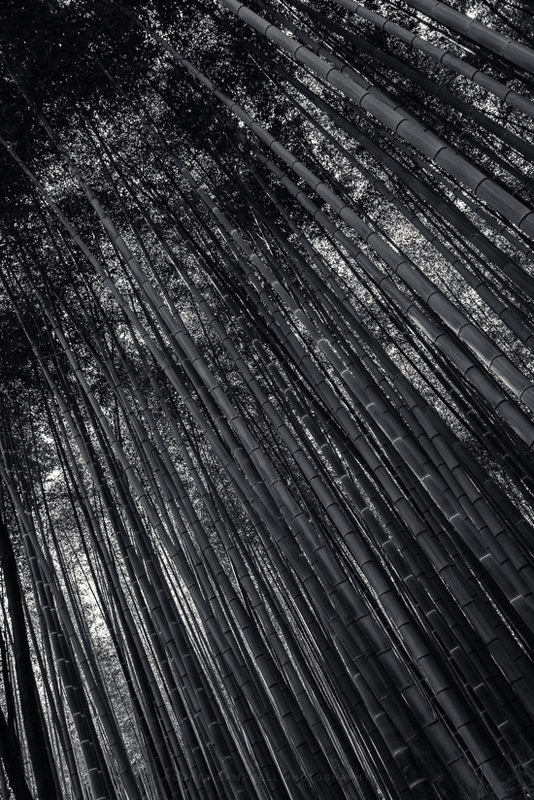 The Bamboo Grove would have to be one of the most photographed locations in Kyoto. It’s very difficult however to capture the true majesty of these towering stems amidst the sprawling groves which spread out across miles of farmland. Even the way the light filters down through the foliage from above has this special quality. It would have been awesome to be able to shoot here in optimal conditions. As it was I was here in the middle of a clear blue sky day with tens of thousands of other tourists. It was just about impossible to get any shots which didn’t include large crowds of people. Rather than truly experiencing the beauty and serenity of the location. It was more like sheep milling through the pens :). Still it’s a very impressive place. I’d of course love to come back one day – perhaps early in the morning on an overcast day and really do it justice :).